BidOrBuy Store Integrator, will save you hours by exporting your product catalog data to a separate XML file, including accurate export criteria management for BidOrBuy product marketplace. Installation is superlight and very fast. OpenCart customers can enjoy export processes with our export solution for FREE! OpenCart customers can enjoy free export through BidOrBuy Store Integrator. Install in minutes and BidOrBuy Store Integrator will automatically export all products within OpenCart in one XML file. BidOrBuy Store Integrator will automatically update your product changes on BidOrBuy marketplace every day so you never have to worry about updating the products changes. No more manually uploading product changes. Ever. We have built-in export for product with live stock and prices, uncategorized products, shipping types, taxes, itemized discounts, images. 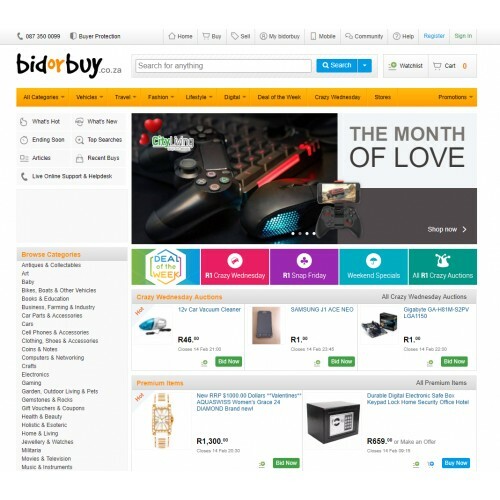 Once a seller is approved by Bidorbuy, they will be need to install the plugin/extension on their OpenCart system. Once the seller has installed the plugin and the plugin has created a product dump (it is called as a "trade feed") the data will be verified and downloaded by bidorbuy automatically. Product updates will be fed through to bidorbuy automatically, within 24 hours so you can be sure that your store is in sync within your bidorbuy listings. All products will appear as bidorbuy listings. BidOrBuy Store Integrator will automatically update your OpenCart product catalog within BidOrBuy for M1 and M2 (asap). 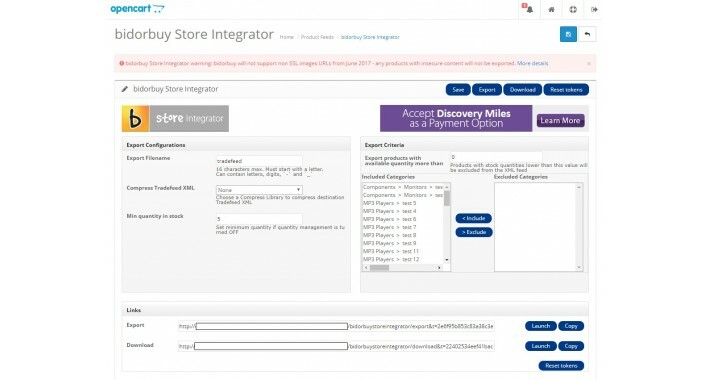 Installing BidOrBuy Store Integrator in OpenCart requires no coding background or developer help. Easy and simple instructions will get you live in minutes. BidOrBuy Store Integrator will also have no impact on your site performance or page load times. You can also monitor all export processes and report via log files!